Pro Se Productions, a cutting edge Publisher of Genre Fiction and New Pulp, announces one of two new Pro Se Single Shots debuting today. 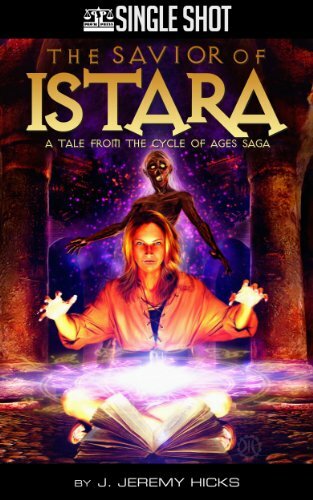 Jeremy Hicks’ THE SAVIOR OF ISTARA: A TALE FROM THE CYCLE OF AGES SAGA is now available as a digital Single Shot, a single short story, for only 99 cents. THE SAVIOR OF ISTARA is a digital only release for 99 cents available at Amazon, Barnes and Noble, and www.smashwords.com. For review copies of this Single Shot, interviews with the author, or more information concerning this title, contact Morgan Minor, Director of Corporate Operations, at Directorofcorporateoperations@prose-press.com. LAZARUS GRAY VOLUME FOUR: SATAN'S CIRCUS NOW AVAILABLE AS EBOOK!